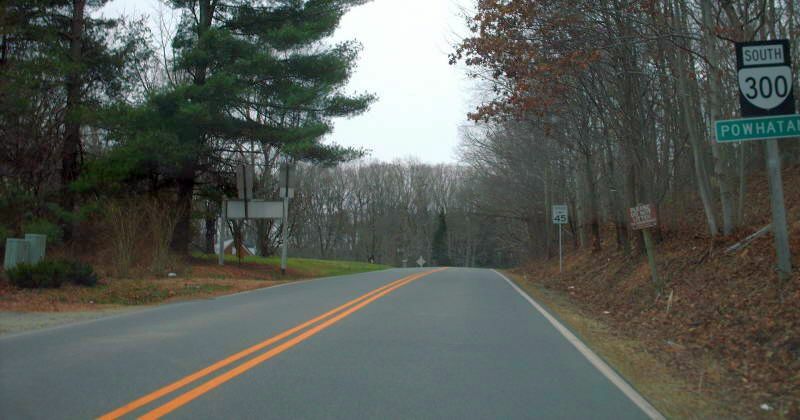 This view is beginning down VA 300, which is not posted anywhere on/from VA 13. Photo by Mapmikey , taken April 26, 2006. 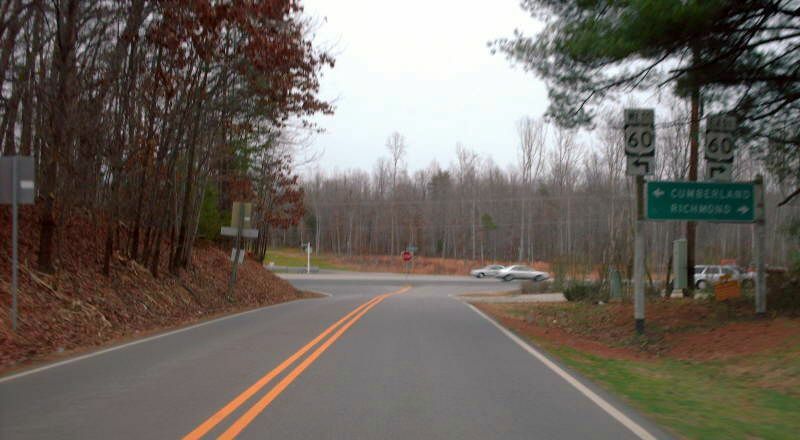 The view from VA 13 eastbound. Photo by Mapmikey , taken April 26, 2006. 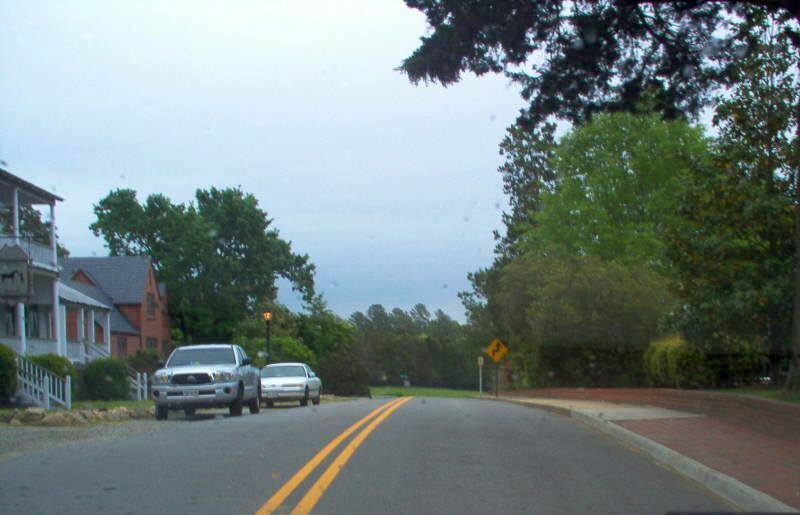 The view from VA 13 westbound. Photo by Mapmikey , taken April 26, 2006. The view from VA 300. There were no VA 13 postings from VA 300. Photo by Mapmikey , taken January 21, 2007. This view is from eastbound US 60. Photo by Mapmikey , taken January 21, 2007. 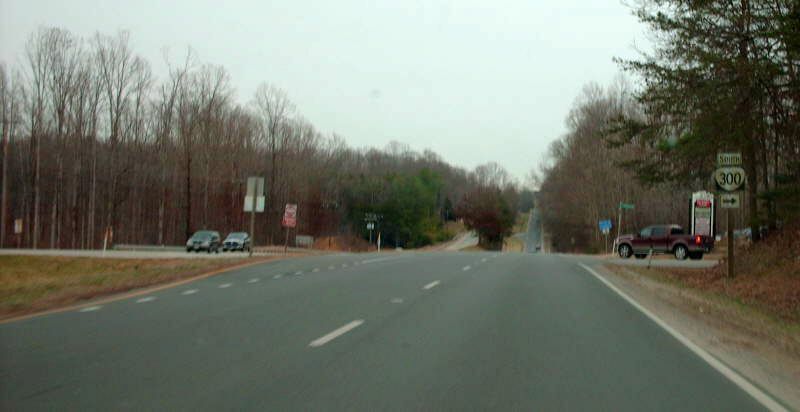 VA 300 southbound approaching US 60. Photo by Mapmikey , taken January 21, 2007. From westbound US 60. Photo by Mapmikey , taken December 29, 2006. Beginning down VA 300. Photo by Mapmikey , taken January 21, 2007.